Pan handle Alt-Az control with clutch – for smooth and accurate pointing. 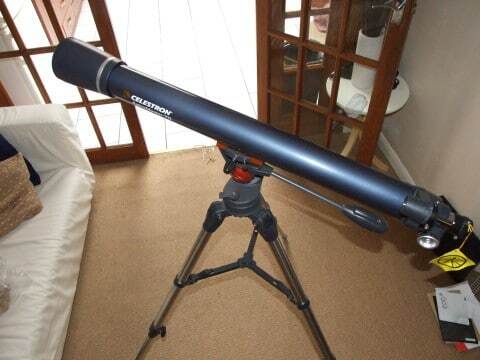 From a telescope perspective, this is a very nice investment for a beginner to intermediate astronomers. You will enjoy the fun of it when you see it in refractors. It’s compact and light enough to transport easily, it has GREAT optics and a VERY macho tripod and Starfinder with a bright reticle which nailed Venus in 1 easy try right out of the box.